and licensed properties, often with nostalgia attached. The latest in the last category is this: Boom! 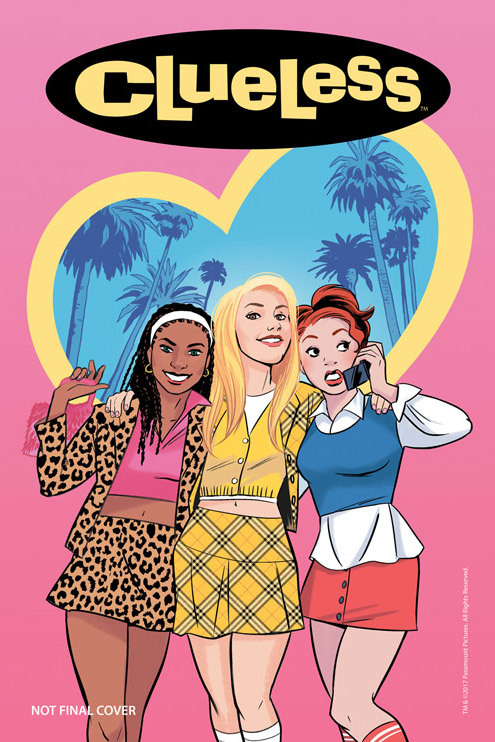 has announced that they’ll be putting out a Clueless comic book. But hey! There’s a long history of following young women’s social lives in humor comics, from Betty and Veronica to Millie the Model. Why not do something more in that genre, starting with some well-known characters, like those played by Alicia Silverstone, Stacey Dash, and Brittany Murphy in the 1995 Paramount film? The graphic novel will be out in August and available to order in next month’s Diamond Previews catalog. It’s co-written by Sarah Kuhn and Amber Benson (best known as Tara on Buffy the Vampire Slayer but also an accomplished writer of film and comics) and illustrated by Siobhan Keenan. The story will continue from the film, exploring what the women want to do after their senior year of high school. 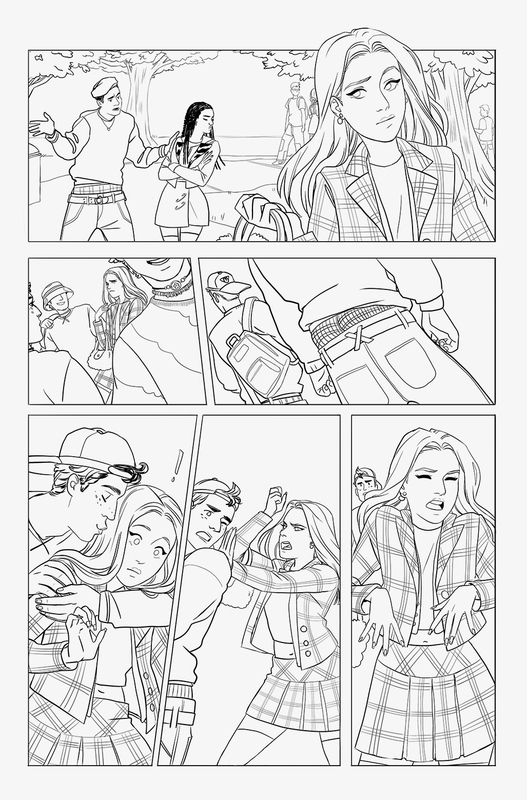 As this sample page (not final) by Siobhan Keenan shows, the costumes are period, keeping to the mid-90s era. Maybe this means short plaid kilts will come back! You forgot “Legacy Cartoon Characters as Zombies”.